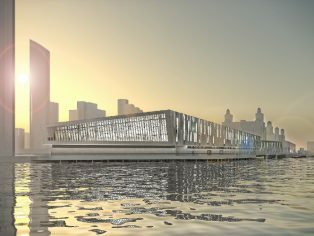 The project team behind the design of the new cruise liner terminal in Liverpool are excited to see the latest designs revealed, which include a 90 second fly-through video. An outline planning permission was granted for the scheme in April and the city council has applied through Mersey Docks and Harbour Company for a Harbour Revision Order for the construction of the Jetty in the River Mersey. 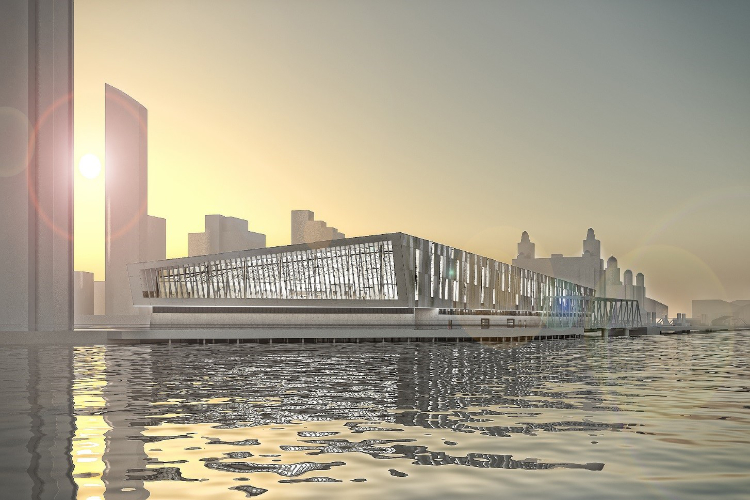 The new cruise terminal is being built within the Liverpool Waters area and includes a state of the art passenger and baggage facility, complete with security checking and customs areas, lounge, café, toilets, taxi rank, vehicle pick up point, car park and four-star hotel. It is expected to directly create more than 500 new jobs. The detailed design is being progressed with a view to submit a reserved matters planning application in November.